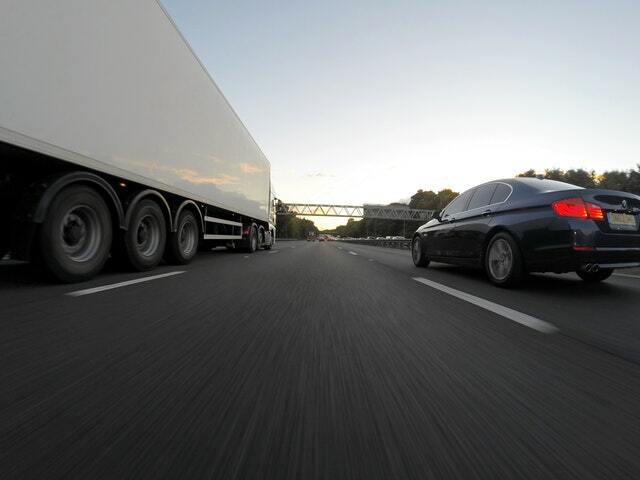 In Missouri and Kansas, our Kansas City truck accident lawyer has recently seen a considerable increase in tractor-trailers, 18-wheelers and other heavy commercial trucks and the dangerous risks that come with them. With over 75,000 pounds of weight, many 18-wheelers and commercial trucks weigh 20 times more than an average car, and as a result, crashes involving these trucks end up with devastating outcomes. Statistics show that truck crashes claim a significant amount of lives – thousands each year. Undoubtedly, it is easy to see the dangers these vehicles can cause. For this reason, federal and state governments have required commercial trucks to carry much higher insurance limits than regular passenger cars. When our Kansas City truck accident lawyer reviews a truck accident case, he will first investigate and identify all of the companies and other parties that share in the legal responsibility for causing the accident. After this, we will examine and evaluate all the insurance policies that may cover the accident. The insurer of the “broker company,” if the broker company had prior knowledge of a violation of safety rules or previous wrecks by the trucking company it used to carry the freight. It is also possible that other liability policies be used in cases with serious injury, damages, or death. Such policies include umbrella, secondary, or excess liability policies. In Missouri and Kansas, a trucking company's insurance can be a potential recovery source when: (i) their truck driver is negligent; or (ii) when the company's own corporate negligence is a contributing factor to the accident. Over our years of practice, we have observed that almost all tractor-trailer accidents involve violations of safety rules and regulations. This is a result of trucking companies prioritizing profits over the safety of the people. Safety rule violations can include the inadequate training or supervision of drivers, failure to maintain the vehicle, or when the employee (driver) is forced to work beyond the maximum hours of service. Hours of service rules are in place for a reason. Truck companies should not force drivers to be on the road for unreasonable amounts because drowsy, tired truck drivers are a public safety risk. Violations of any of these safety rules place the public at risk. If the driving behavior was reckless or intentional, it may also be possible to recover punitive damages to punish such conduct. We are committed to obtaining a maximum recovery for all of our clients. While you are recuperating from your injuries, we will handle these legal and insurance issues and work hard to ensure all negligent parties pay for the harm they caused. In most cases, the insurance companies will ask to take your recorded statement and have you sign health authorizations. The goal of the insurance company is very simple: to pay you as little as possible for your injuries. You must remember that you only have one opportunity to settle your truck accident injury claim and hold the driver and the company accountable for the injuries and damages they caused. As a result, it is highly recommended that you consult with an experienced truck accident lawyer before giving any statement or signing any forms. This is especially true if your injuries are serious and you expect to require future medical treatment for injuries sustained from the truck collision. Our Kansas City truck accident lawyer stands ready to help individuals and families affected by collisions throughout Missouri and Kansas that involve large trucks, including semi-trucks, tractor-trailors, 18-wheelers and other commercial vehicles. Given the seriousness of crashes with trucks and the insurance issues that can arise, you should seek the expertise of a competent truck accident lawyer who can guide you through these issues and ensure you are treated fairly. Please feel free to call our office today at 816-203-0143, or use the form below. Our Kansas City truck accident lawyer will be glad to provide answers to your questions and try to assist you with your case. Our legal consultations are free and confidential, and there is no obligation to hire our firm. So contact us today, we would be happy to help.